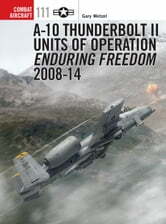 The untold story of A-10 units in Operation Enduring Freedom reaches its conclusion with this second of two volumes focusing on the type's combat missions in Afghanistan. Featuring numerous first-hand accounts and photography from those who experienced the conflict, along with imagery from official military archives, this book offers a unique and detailed insight into the record of the A-10 in one of the 21st Century's most significant conflicts. Initially, the A-10 Thunderbolt was not a favourite of the USAF, which, prior to the Iraqi invasion of Kuwait in 1990, was hoping to shunt this Cold War relic onto the US Army and Marine Corps. But since then the 'Warthog', with its formidable armament, ruggedness and flexibility, has continually proven itself in combat and evolved into the world's premiere close support aircraft. 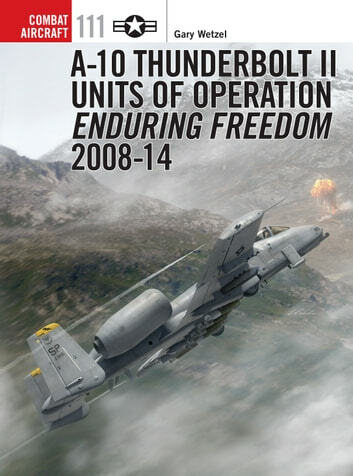 In 2002 the Thunderbolt was at the forefront of Operation Enduring Freedom, the US occupation of Afghanistan.